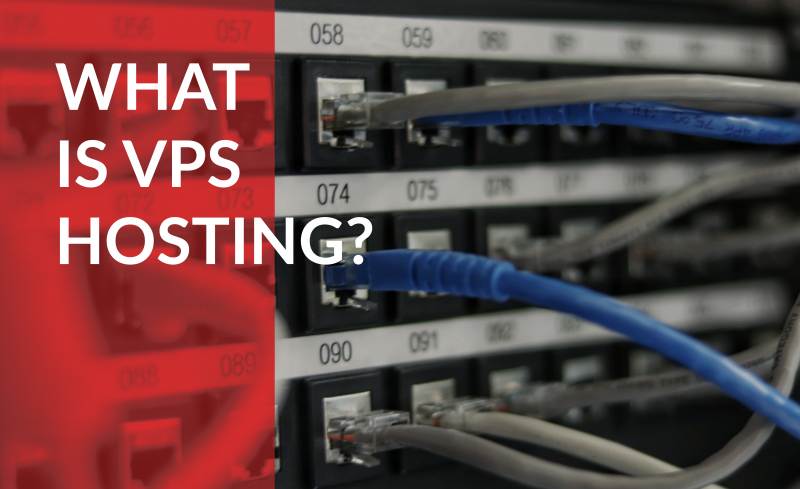 You are here:Home-Uncategorized-What is VPS Hosting? Want to take your business online? First, you’ll need to find somewhere to house your website. To do this, you’ll need to find a web hosting plan and there are several options available with each designed to serve a different level of demand. If you are looking for the best VPS hosting plan, keep reading to learn more from our complete VPS hosting guide. This article will provide a VPS hosting comparison so you can find the best hosting solution for you and your needs. VPS hosting is essentially a combination of shared hosting and dedicated hosting. The acronym “VPS” stands for “Virtual Private Server,” which is intended to convey that nearly all of the advanced features that are enjoyed via a dedicated server can be had at a much lower price point, comparable to that of a shared server. Users who opt for a VPS package are graced with the computing power necessary to run a complex side or grow an online business. General research shows that the enlistment of a dedicated private server will likely cost upwards of $100 per month. For many small to medium-sized businesses, this is simply too expensive, so they must find a more cost-effective alternative that retains all the features necessary to run their website. With VPS web hosting, the service provider essentially takes a single piece of hardware, the server, and virtually partitions it off into a number of individual hosting spaces, each with its own dedicated operating environment. Think of it like an apartment building, where every unit in the shared building is fully self-contained with all the same necessities as a freestanding house. Each space is completely customizable, subject to the needs and tastes of each occupant, and each unit has its own dedicated utilities which share a common source. VPS hosting packages offer a number of advantages over other common hosting options. In comparison, VPS hosting is more reliable, flexible, and scalable than shared hosting. While VPS hosting does cost more, the jump in price is negligible for all but the smallest enterprises. In comparison to dedicated hosting, VPS offers nearly all of the same benefits in regard to customizability, scalability, and security that typically drive businesses to opt for a dedicated server. In the context of hosting, reliability boils down to the degree of confidence with which you can expect your website to run smoothly without downtime. In the case of a shared hosting plan, in which bandwidth usage is shared openly amongst every website housed on the server, there is risk of your website experiencing downtime due to what is known as the “bad neighbor effect”. This occurs when one of the “neighbors” on the server experiences unusually high traffic to their site, which places a high demand for resources on the server. When this kind of hoarding occurs, those resources become unavailable to other websites, causing them to slow or become unreachable altogether. Obviously, if your website is unreachable, that is bad for business. VPS hosting insulates websites from their neighbors by virtually partitioning them from one another and allocating resources for their sole use. In comparison, this makes VPS hosted websites very reliable, since no competition for bandwidth usage results in minimized downtime. Flexibility and customizability are interchangeable terms here. In a shared hosting environment, any changes to the operating system or coding may have a direct effect on the other websites hosted on the web server and are thus not allowed. VPS hosting services allow you to customize your environment to the specific needs of your project without the risk of affecting your neighbors or stealing server resources. Another benefit of having both a dedicated virtual space and an assigned set of resources is that it makes scaling a simple matter. As your business grows, so will things like web traffic and the number of people you employ. VPS hosting allows the freedom to add bandwidth, storage, email accounts and more to ensure that your hosting can scale with you. What Makes A Good VPS Package? A good package will include enough RAM and bandwidth to keep your site running glitch free, as well as enough disk space to consolidate all of your files into a single digital storage space. A great hosting package will also have a sufficient number of monthly data transfers included in their base fee rather than nickel-and-diming you for additional transfers after you exceed the initial allotment. VPS hosting packages offered by Domain.com check all the boxes. Additionally, some packages at Domain.com boast unlimited offerings for resources like email and premium domains, which make them extremely attractive to businesses that expect to experience a lot of growth. Domain.com’s top packages include unlimited email accounts, domains, and MySQL databases with no setup costs or other hidden fees. Having the freedom to create as many email accounts as you need is critical for businesses that plan to grow. Domain.com lets you create an unlimited number of email accounts with no additional cost, allowing you to scale your email accounts along with the rest of your business. Additionally, desirable email packages include plenty of storage for each individual account. Domain.com offers a rather generous capacity on each mailbox at 500MB, or 10,000 email messages (whichever comes first). A great VPS host will provide unlimited disk space to help you curate all the content you wish to have on your site. Contrary to what the name suggests, it is technically possible to exceed the allotment of disk space provided under an “unlimited” plan. However, upstanding web hosts will work closely with clients to consolidate or reduce the number of files they use in order to operate more efficiently. Typically, this only happens with customers storing tens of thousands of files at a time, so it is a relatively small concern. Bandwidth is the amount of traffic that streams between your business’ website and other websites on the internet, and a good VPS package will support all the bandwidth your website demands. By doing so, your host ensures that your website maintains optimum performance at all times. VPS hosting provided by Domain.com includes all the bandwidth you might need to operate with plans offering between 1000-2000GB. They are built specifically to handle the data transfer demands of all but the largest of big business. That is to say, large corporations like Amazon will not be hosting their data on a VPS server—they simply don’t provide the bandwidth to support that level of traffic—but smaller businesses will be well served. This allows business owners to focus on running their companies, without concerning themselves with IT. A lot of sensitive and valuable information is transmitted in the process of running a business online. Some of this includes information regarding your business finances or your customers’ personal information. Whatever it may be, this data needs to be encrypted and kept safe so that it isn’t stolen and used by anyone with bad intentions. One of the benefits of VPS hosting is that the physical server is kept in a location safeguarded against physical attack or theft. Additionally, the host company provides protection from malware and any other source or online attempt to steal your sensitive information. There are a couple of security tools used to protect your information, like the Secure Sockets Layer, or SSL, and another called SiteLock security. Any business that sells products or services online needs to have an SSL Certificate included in their VPS package to keep financial information confidential during transmission. Hosting plans purchased through Domain.com include a free SSL certificate upon signup, saving you money, as well as access to SiteLock. Any great VPS host will provide top notch customer service. You want your web hosting provider to be responsive and available at any time of day. The experts at Domain.com pride themselves on providing the best customer service available in the industry. They offer live chat customer support 24 hours a day, 7 days a week to address concerns, answer questions, and help you find solutions that serve your growing needs. If you find that you are still unsure if VPS hosting is the right type of plan for you, then below you’ll find a comparison between shared and dedicated, the two other primary hosting forms. Compared to shared hosting, VPS hosting offers a greater amount of resources available to website owners. In a shared hosting environment, your site is subject to the fluctuations and demands from hundreds or even thousands of other websites housed on the same server as your website. Lack of sufficient storage space means you might need to store some of your files elsewhere, while lack of sufficient bandwidth could make your site slow to load or unreachable altogether. Lack of security is another concern regarding shared hosting, as faulty coding or changes made to neighboring websites could negatively impact the performance of your site. By offering unlimited disk space and bandwidth with their VPS hosting packages, Domain.com covers the primary demands that might prompt a complex or growing business to choose dedicated hosting in the first place. While you lack some of the custom perks that you would with a dedicated host, like choosing your operating system (ex: Windows), VPS hosting plans through Domain.com include installation of Linux with the ability to run PHP, Perl, and Python at a dramatically reduced cost. VPS hosting provides some of the best value out of all the available hosting options out there. Since it’s a bit of a hybrid hosting service it has features of both shared and dedicated hosting, so it follows that the price falls somewhere in between the two other hosting options. A few factors influence the price of a given VPS hosting plan: the amount of RAM, disk space, and bandwidth that you need. Additional features like management services and the inclusion of tools like a control panel may also affect the price. VPS hosting is a fantastic option for nearly any small to medium-sized business looking to take their services online. It offers the power, flexibility, and stability of dedicated hosting at a price point that makes it extremely enticing. For those who are new to the online world and those who see large potential for future growth, the support and scalability offered by a VPS hosting package simply can’t be overlooked. Don’t know which type of hosting plan to choose? Contact Domain.com today to learn more about our VPS hosting services. As one of the leading VPS providers in the industry, we’ll be able to provide you with all the information you need to make the right decision for you and your website.